I always knew that my wedding day would be emotional - in more than just the regular way. 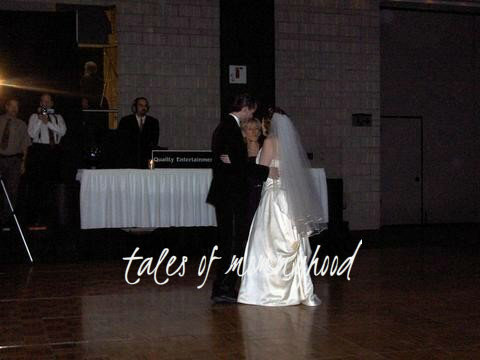 My father died when I was a teenager, and I knew that I would have a lot of trouble with him not being with me as I walked down the aisle, or having a father/daughter dance. Even now, 17 years later, I often go to the washroom during the father/daughter dance at weddings - because it really brings his loss upfront in my mind. When thinking about my wedding, it was always very important to me that my dad be included in our day, even though he couldn't be with me. At the same time, I didn't want to turn our happy, joyous wedding into a somber occasion either. 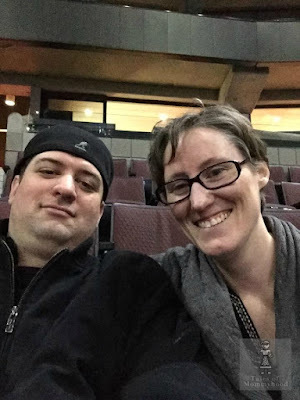 Below, I have written the ways we chose to include him - in hopes that it may help other couple come up with ideas. When we were planning our wedding, I had no idea how I was going to walk down the aisle; I didn't want to walk alone, but I didn't want my mom to walk me either. It didn't seem right that my brother do the whole thing, so I decided that I would walk the first half alone - and my brother was waiting for me in the middle - this was my symbol for my dad handing me to him, and then he "gave me away". At the entrance to our reception, we had a table with the guest book and a small album of pictures of us - and then there was a picture of my father with a poem I wrote and a memory candle. Apparently, this was VERY emotional for most of my family/friends as they read it - but it was something that I NEEDED to have there. In terms of the parent dances, my original plan was to just skip them altogether; then I thought that maybe I would just dance with my mom....then I had an idea - I would dance with my mom and my brother. I didn't tell her that however; she knew that we would have a dance together - and after 40 seconds or so I signaled to my brother that it was time - and he came over and joined us. The only people that knew this was happening were my brother, hubby, myself and my cousin/MOH. Most of my family got very emotional when they witnessed our dance - and my hubby's family commented on just how close the 3 of us are. 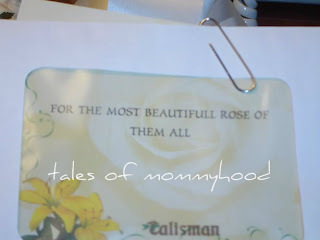 Lastly, this was not my inclusion, but my mom and brother.....growing up, my father always gave my mom and I 11 roses; not 12, because we were the most beautiful (equaling the 12th rose). As a teenager, I heard a song on the radio called "A Dozen Red Roses" by Joan Kennedy...... the song is about a bride on her wedding day, who receives a dozen red roses and a card - the card is written by her dad - he wrote it before he died and gave it to her mom for their daughters wedding day. My mom knew how much this song affected me, and I was pretty sure that there would be a flower delivery that day - but I didn't know when....I thought maybe while I was getting ready, but that didn't happen. Then I thought maybe at the church (but REALLY hoped that wasn't the case because I don't think I could have made it down the aisle if they did it then...) but it happened after dinner. 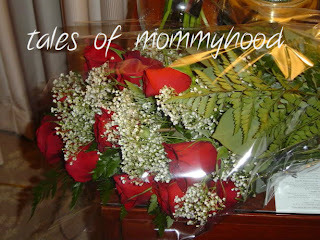 After the speeches were done, I was getting ready to go get a drink and in walked my mom and brother, with a bouquet of 11 roses......just for me. It was EXTREMELY emotional for the 3 of us, but I was so glad to get them. Even though my father didn't send them for me - I KNOW in my heart that he would have given me 11 red roses on my wedding day had he been alive --- and so did my mom. And there you have it - a rundown of how I included my dad in our wedding. Oh my gosh - I just cried through that entire post! So sorry for your loss. :( It sounds like you have an amazing family. thank you - it is something I have wanted to write about for awhile - and it was VERY emotional for me writing it. Wow how simply touching, heartwarming and tragic at the same time, and extremely thoughtful for all. Sounds like you have one heck of a beautiful family. Sounds similar to how close my family is as well. Thanks for sharing an extraordinary story about love. Your doing everything right!! Congrats on your big day and hold him near and dear. Soon you will get those 11 roses back from him. That is lovely. I had my brother walk me down the aisle. It was my choice. My father is not dead, but had been absent since I was five and I had no interest in having him there at my wedding, especially since it would have hurt my mother. It's a lovely way to include your dad. What a beautiful post and I love how you included your dad in your wedding. Thank you for sharing this story with us. Thank you for sharing this wonderful post! My sister got married a year ago and her hubby's Mom passed away when he was young - it was difficult, but the touches they did for her were really nice. thanks so much for the sweet comment Christine! How lovely to share your special day with your father and us. Loss is a tough one. Unfortunately, we all experience it. thank you - unfortunately, the poem ended up getting misplaced and I don't have another copy of it. Phenomenal! I too included my Dad at our wedding even though he had long since passed when I was 14. 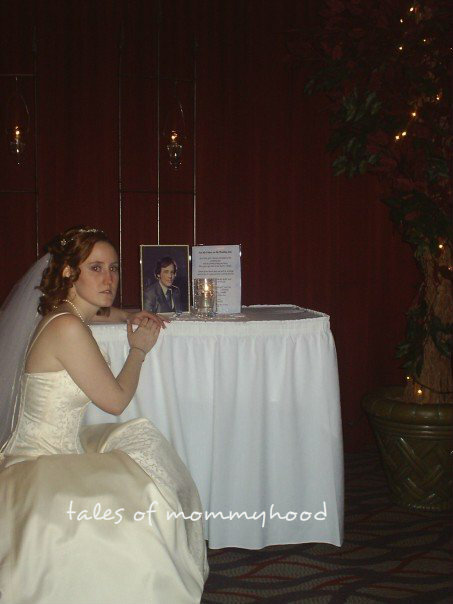 At the front of the room there was a table with his picture on it, and before joining my husband to be at the alter I lit the candle on the table and kissed the picture. It was quite the moment... we then took the picture and relit the candle at the reception and put it at the head table. My mom had passed before my wedding as well and we tried to include her in a few special ways (that maybe I will blog about someday). Such a beautiful way to honour and remember your loved ones. Great post and wedding tributes Ashley. I always get stuck on the thoughts of how great it would have been for my dad to have gotten a chance to meet my kids. I keep telling myself it'll get easier but like you, the same things seem to always set me off. If I can type through tears, I'll leave a comment, as lovely as this post. Completely touching and so full of love - I so wish I had that in my family while growing up.